A dot-com bust could soon take place all over again, as a number of tech companies in the West are valued higher than their earnings will ever justify, says a billionaire investor who got rich in the industry. 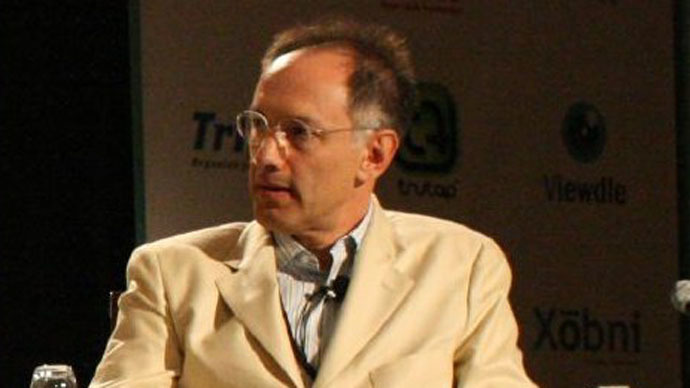 Many young technology companies valued at $1 billion or more – known in the industry as “unicorns” – are expected to crash soon, Sir Michael Moritz, chairman of Sequoia Capital, told The Times of London on Tuesday. “There are a whole bunch of crazy little companies that will disappear. There are a considerable number of unicorns that will become extinct,” Moritz said. You know what makes me really angry? The role the media is playing in pumping and glorifying this tech bubble. Stop hyping this Fool's Gold! Bill Gurley, a partner at Benchmark Capital, made a similar statement last week at South by Southwest (SXSW), an annual music, film and interactive festival in Austin, Texas. “I do think you'll see some dead unicorns this year,” Gurley warned in his keynote address at the SXSW technology conference. Gurley, who has invested in Uber and Snapchat, warned of the irrational exuberance among the tech companies and investors. “There is no fear in Silicon Valley right now. A complete absence of fear,” he said. Investors have poured billions into taxi app Uber, the online scrapbook Pinterest, and the photo-sharing Snapchat in recent weeks – even though the companies, which are valued in the billions, are still experimenting with ways to make money from their users. Valued at over $41 billion, Uber is the second most-valued technology start-up in the world. Snapchat is third at $19 billion, while Chinese smartphone manufacturer Xiaomi is worth $46 billion, according to investors. Mark Cuban, another respected tech investor, argued earlier this month on his blog that the current tech bubble was “far worse” than the one that burst in 2000. “If we thought it was stupid to invest in public internet websites that had no chance of succeeding back then, it’s worse today,” he wrote. Moritz agrees that many companies have “fly-by-night business models or fly-by-night pretensions” today, as others did 15 years ago. However, many companies also have secure and sustainable business models. “There are also a good number that will flourish,” he said.